2016 Baker Splitfest poster is done! 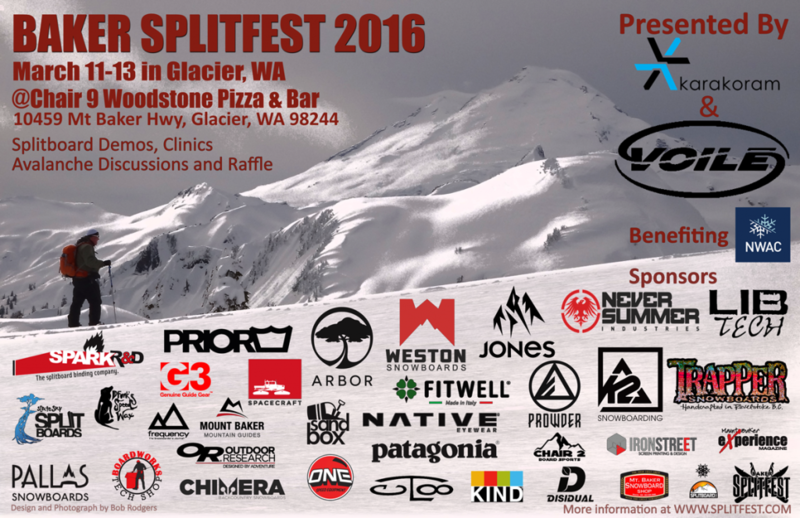 The poster for the 2016 Baker Splitfest is ready. What a difference a year makes in the snowpack! Karakoram, Voile, Spark R&D, Prior, Trapper, Jones, Never Summer, Arbor Snowboards, Chimera, Pallas Snowboards, Weston, G3, and Prowder! We have Boardworks Tech Shop doing free waxes at the event! Pallas Snowboards is leading a women’s tour, sign up on Facebook. Chair 2 Board Shop is doing a 101 Clinic again, sign up on Facebook too. And as the event gets closer watch the website and Facebook page to sign up for demos.